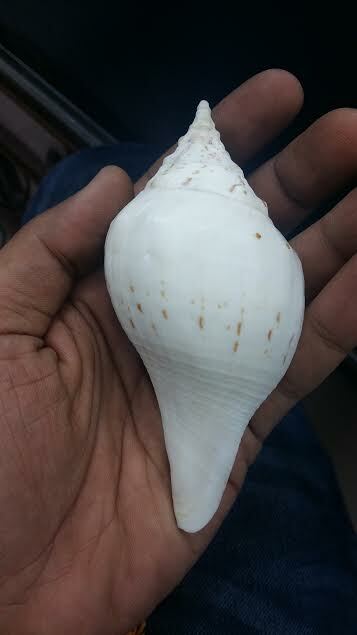 Dakshinavarti Shankh / Valampuri shankh is the symbol of Maha Lakshmi. 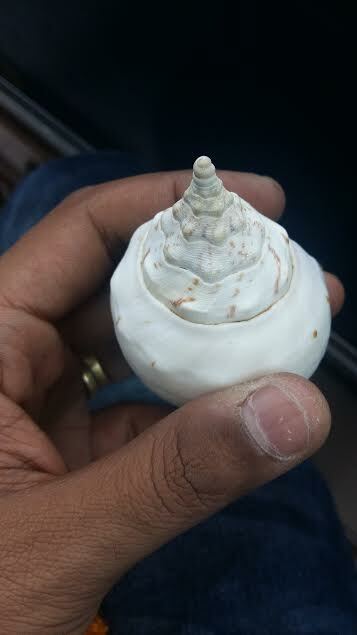 Goddess Lakshmi is always depicted with Dakshinavarti Shankh in her hands. 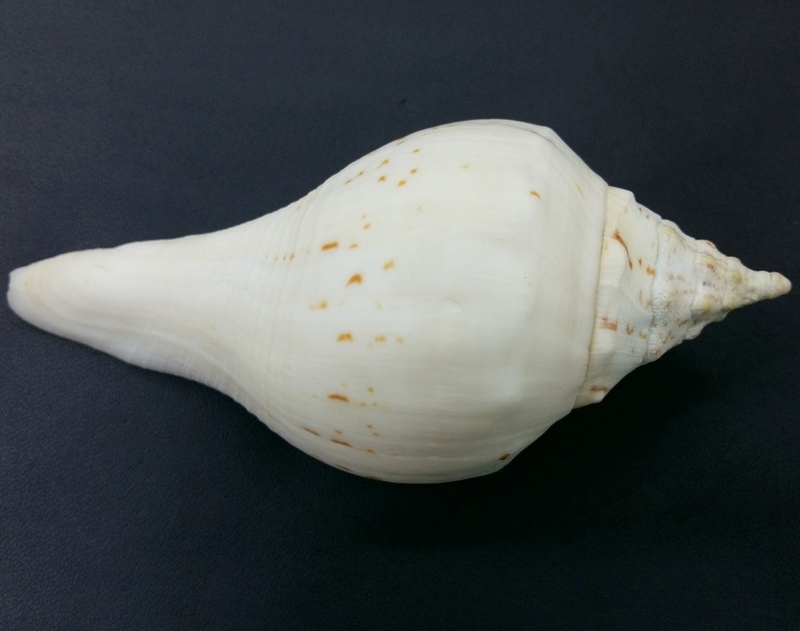 The Dakshinavarti Shankha is also known as Lakshmi Shankha and Valampuri Shankha. Dakshina means the south side or when holding the shankh, Right Side. South is the direction of Kuber, the God of wealth. 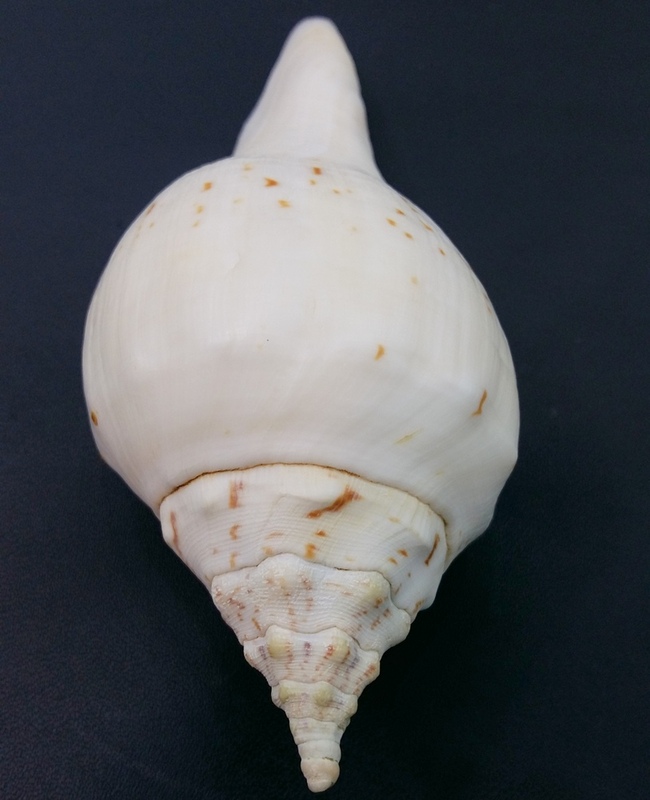 This shankha is very rare, much coveted and it is highly auspicious to keep it in Pooja for all round prosperity. 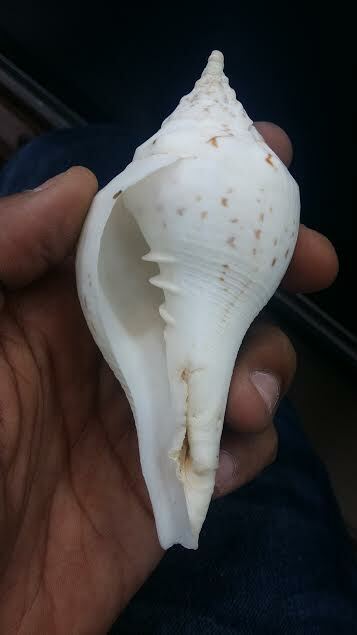 The Sri Lakshmi Shankh has reverse-turning spiral. 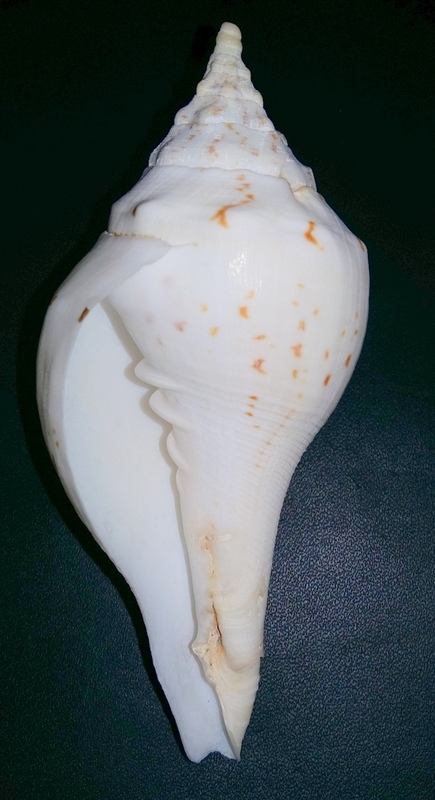 When held with the crown pointed up, the conch’s spiral will turn to the right (Dakshinavarti) rather than the far more common variety which turns left (Vamavarti). Properties of a Right hand Lakshmi Shankh / Valampuri Shankh as per Skanda-purana. It must have a long neck and broad body. It must be long in the front portion. When blown, it should emit a long, loud and sonorous sound like ‘OM’. 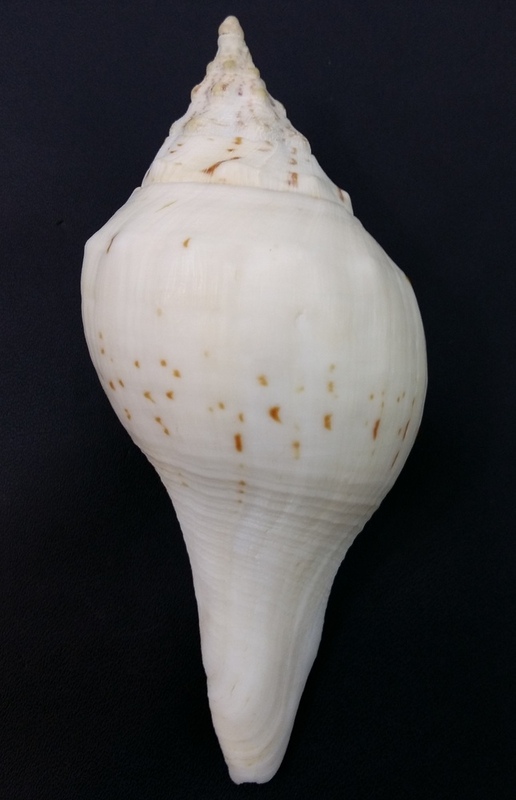 It should have minimum 3 spirals on the underside. Brings prosperity and abundance to the worshipper’s house. Brings happiness and peace to the premises. It enlightens the students with knowledge and sharpens their memory. To get rid off malefic planetery effects, evils and black magic, just fill it with Ganges water and sprinkle it on a person or around premises. Removes ill-effects of Brahmhatya, Gau-hatya and Baal-hatya. 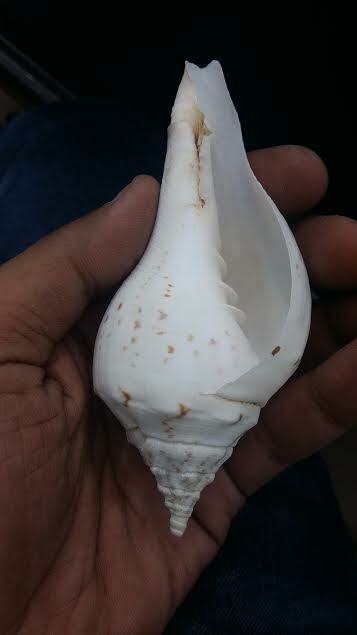 This is the rarest of the rare Shankh and this size and variety occurs only once or twice in a year.